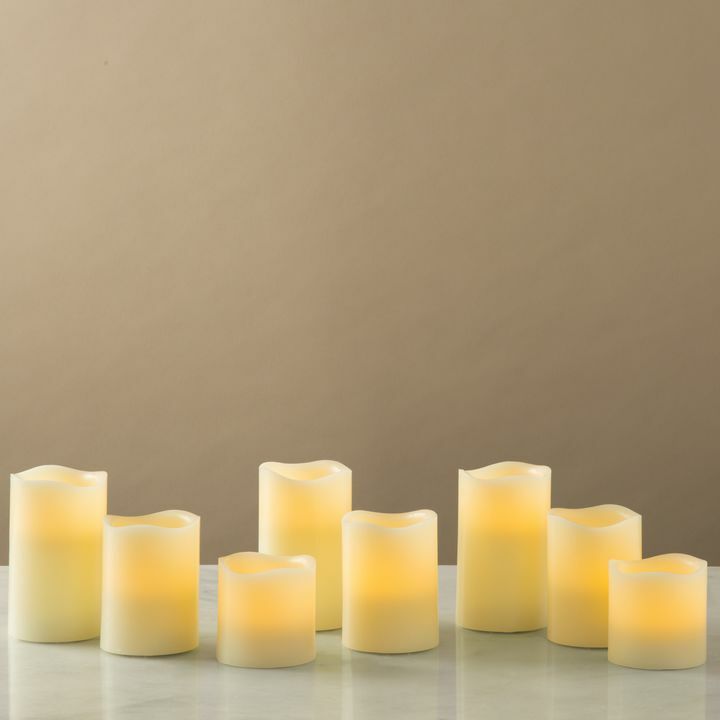 There are only 22 available of the Cream Melted-Edge Flameless Pillar Candles, Set of 8. Your selected quantity has been adjusted. 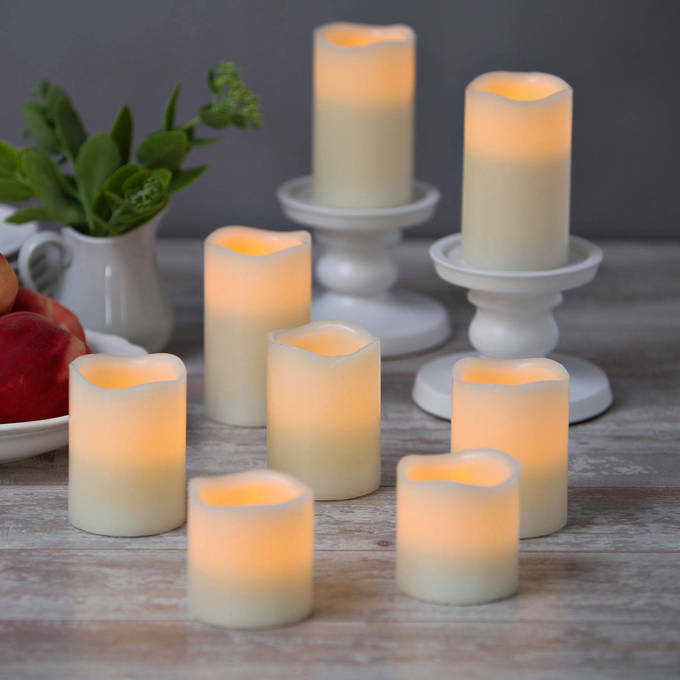 With their cream wax exteriors, life-like melted edge and natural faux flicker, this assortment of pillar candles mimics the warm ambiance of real candles without the worry of messy drippings or open flame. Includes a remote for ambiance controlled at a distance. For your convenience, the set has a four and eight hour timer feature. 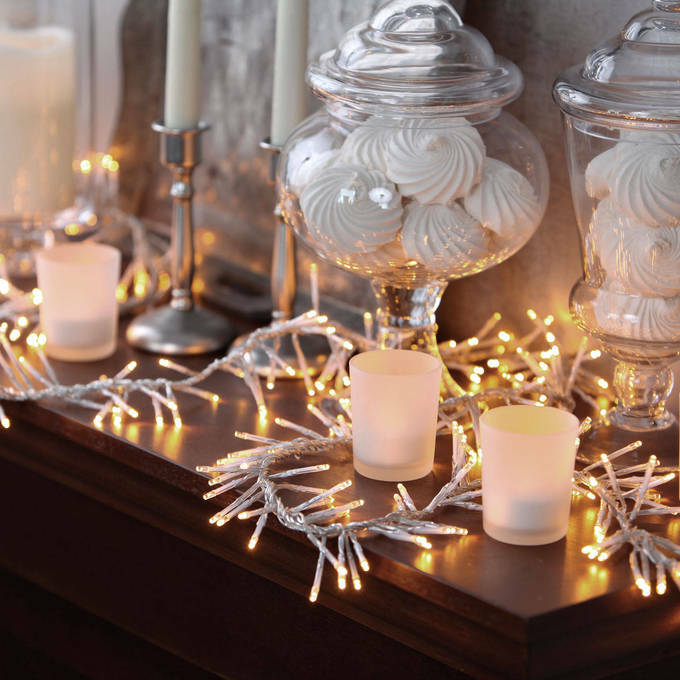 Switch to timer, enjoy hours of illumination, and the candles will resume lighting at the same time the next day. Perfect for home, weddings, churches, restaurants, and events. 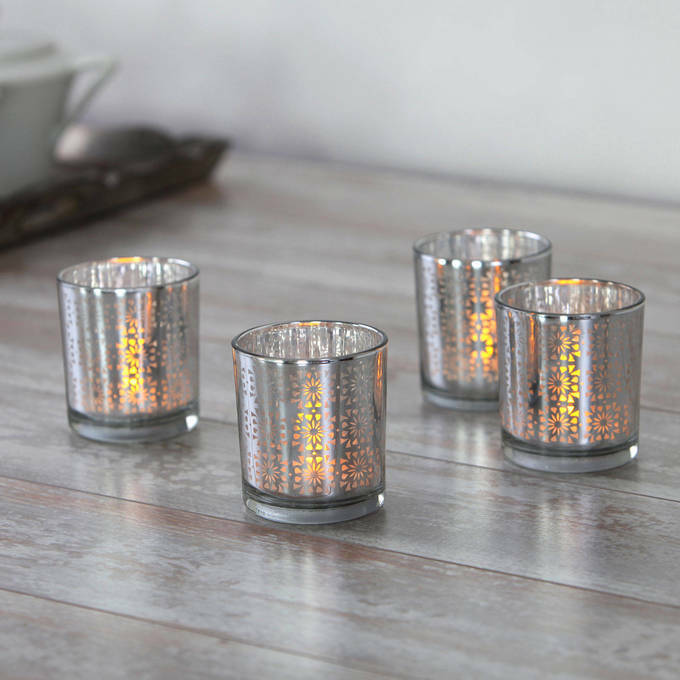 I had been looking for a nice set of battery operated candles with a timer and these are awesome and wont break the bank! They look so real and the remote works with another set of lights that came from lights.com as well. The candles arrived on time & were packaged carefully. I've placed them around the living room & in a bay window. How lovely it is when they turn themselves on & off at the appropriate times! 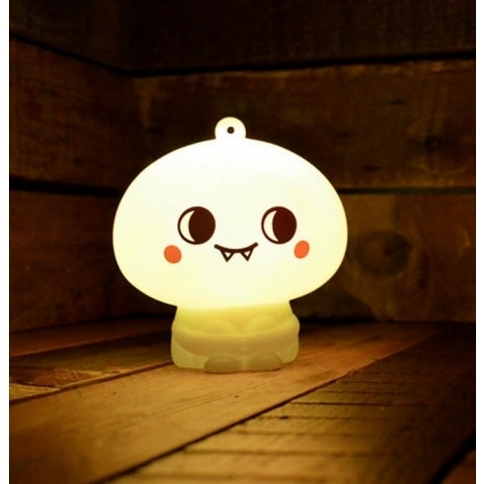 I will buy more from Lights.com. just as described! fast shipping, work very well! 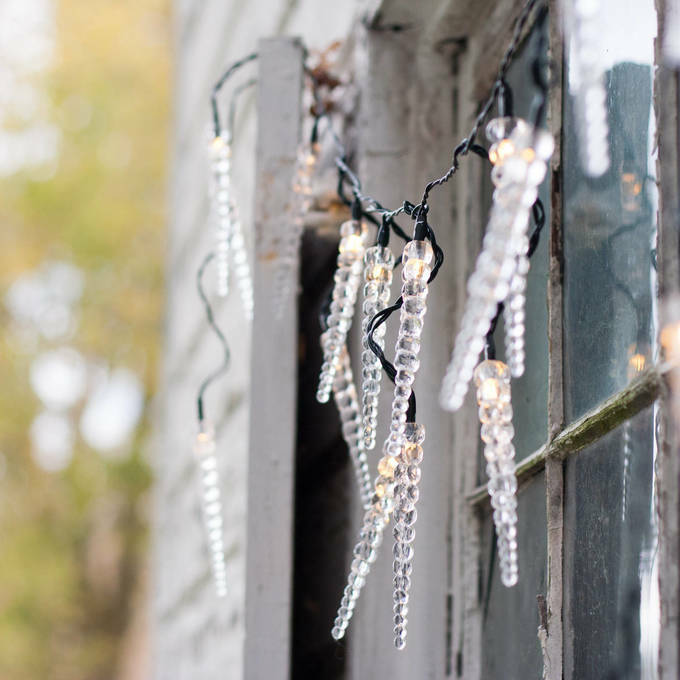 Very attractive and realistic, fun and easy to use, just the right touch for my screened in porch to make it cozy in the evening. These are an excellent value and I recommend them. Very happy so far. The lights are bright and work perfectly. I LOVE that they came with replaceable batteries. 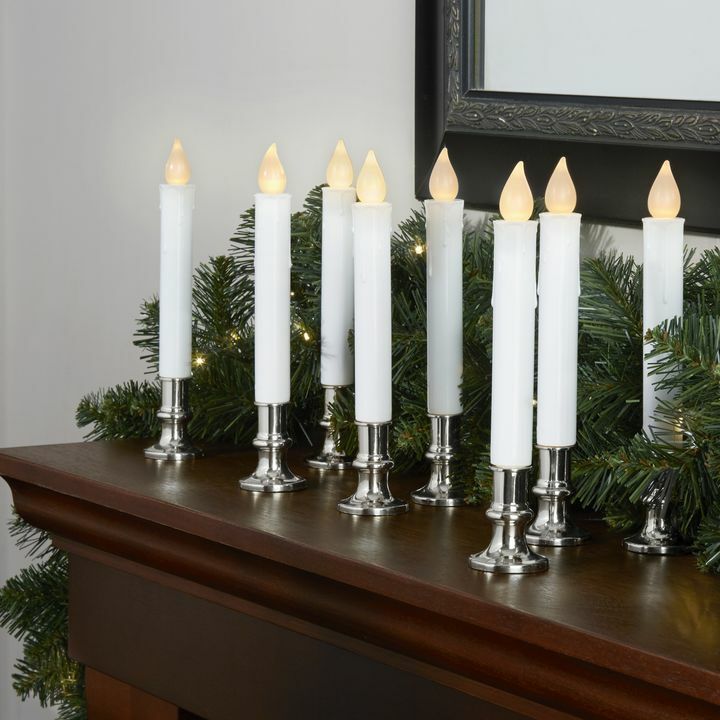 I see that these candles have timed settings...can they also be turn manually turned on to last longer than 8 hours? Thanks for your question. The Melted Top Flameless Cream Wax Pillar Variety Set does come equipped with 4 and 8 hour timer options, but it can also be operated manually, meaning it can be switched on for 8 hours or longer. 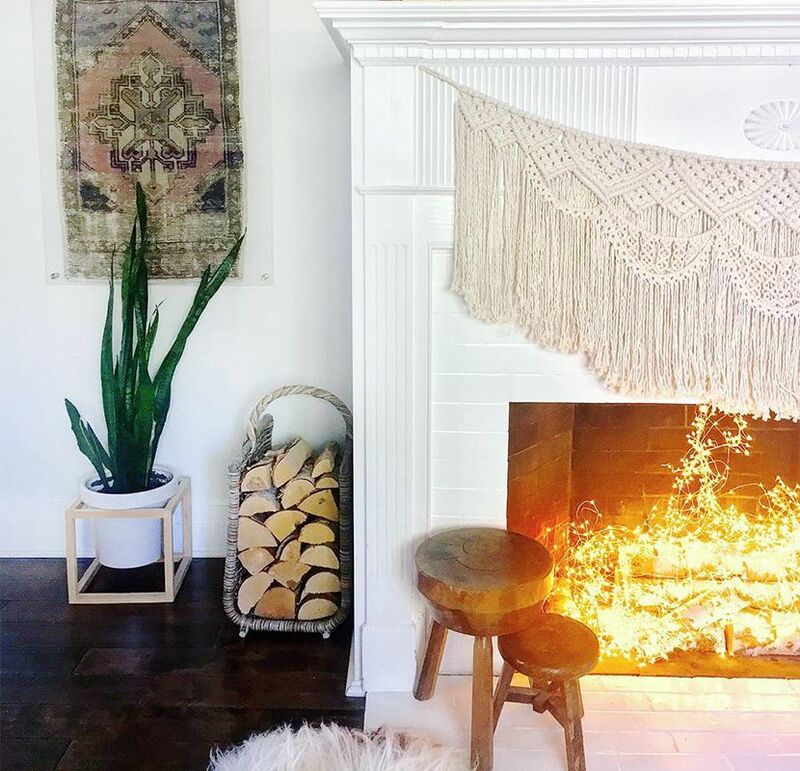 Can the candles be split up into different rooms for the remote work or do they have to be grouped together? You can use the remote to control each individually but the remote must be within 4 feet of the candle you wish to control. The only real difference is their size. Are these weatherproof? I am planning on leaving them outside. 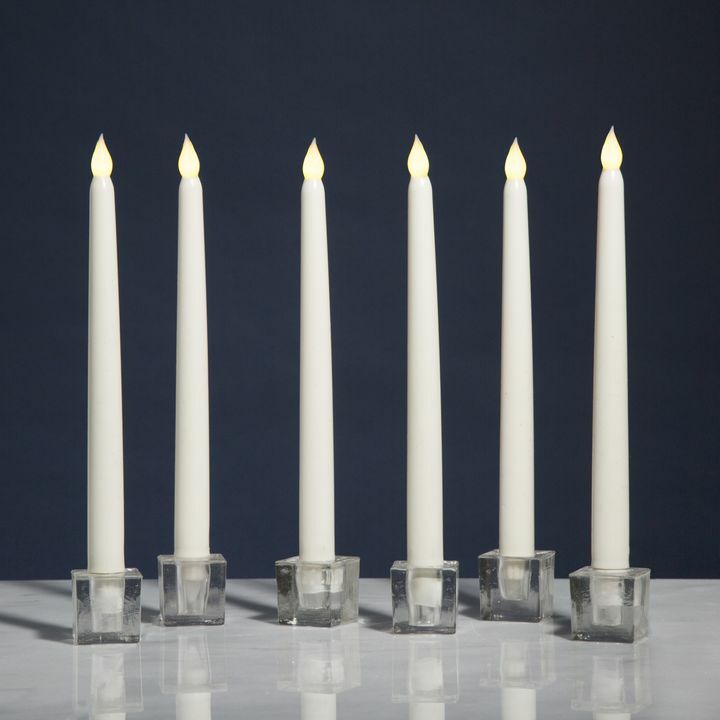 Due to the candles being made out of wax, if they are left outdoors, they will melt in sunlight. 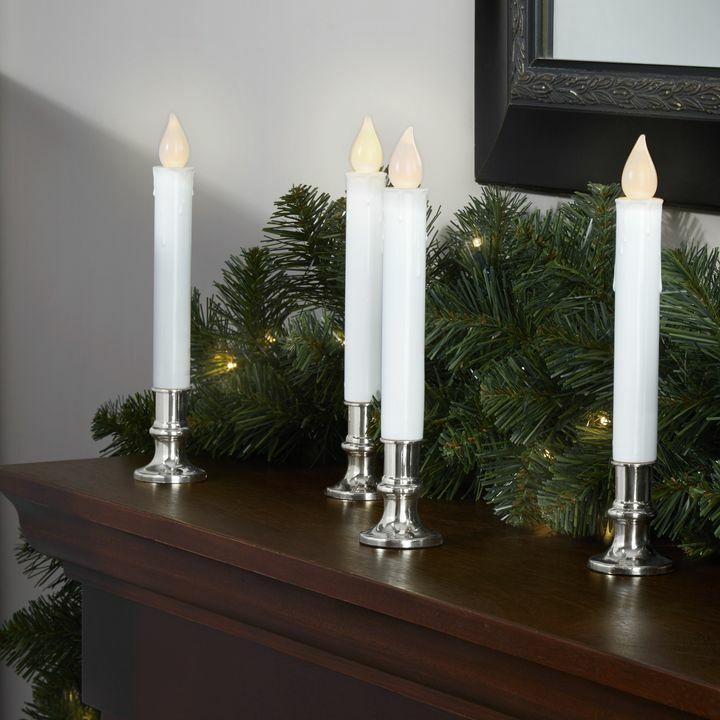 The description says \"flat top\" but the photo shows candles that do not have flat tops. Is the photo correct - is that what the candles will look like? We apologize for the confusion. 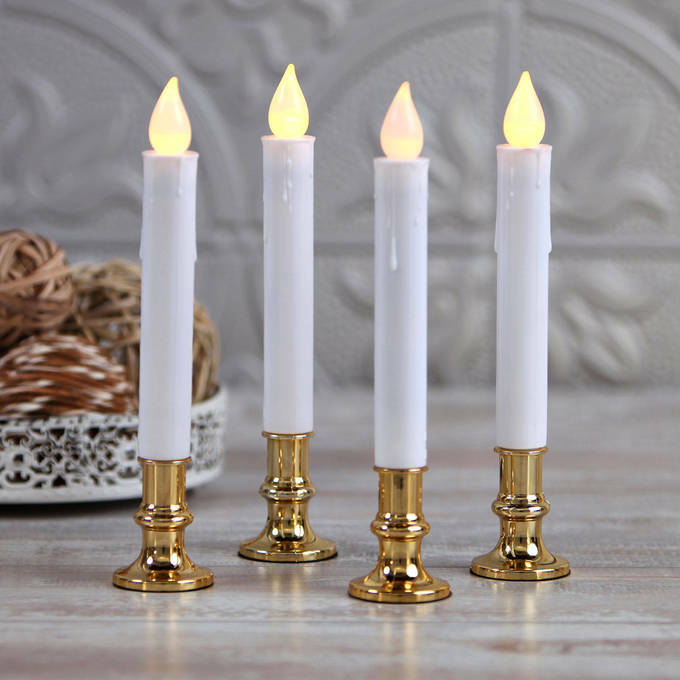 These candles are melted top and not flat top. Do these glow white or orange? They're warm white which is a yellowish/orangish. I need to order (9) candles, the set comes with (8). Do you also sell a single of this variety of candle? and can it be hooked up to the (8) piece set remote? This is only carried in a set of 8 and is not remote compatible. 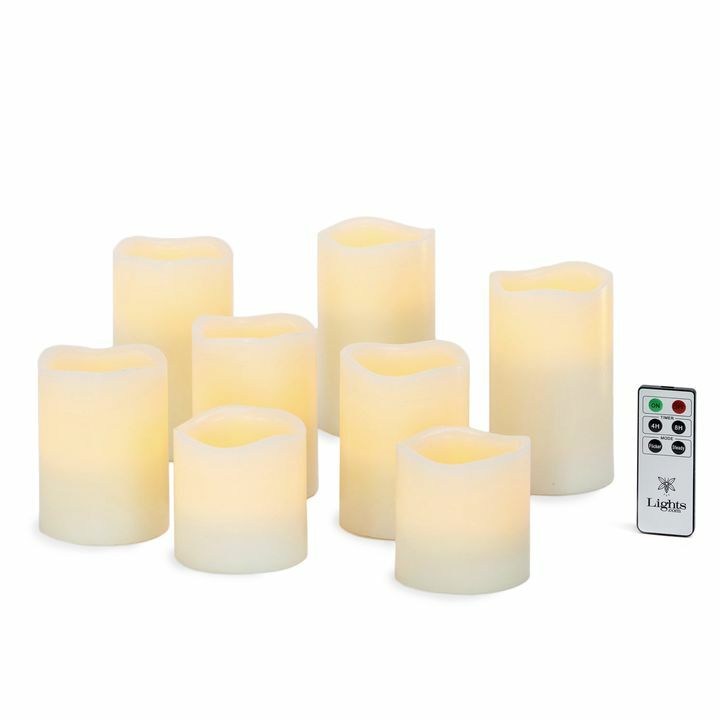 We do sell the Touchstone Flat Top individual pillar candle that comes with a remote but we can not guarantee that the remotes are compatible with one another. 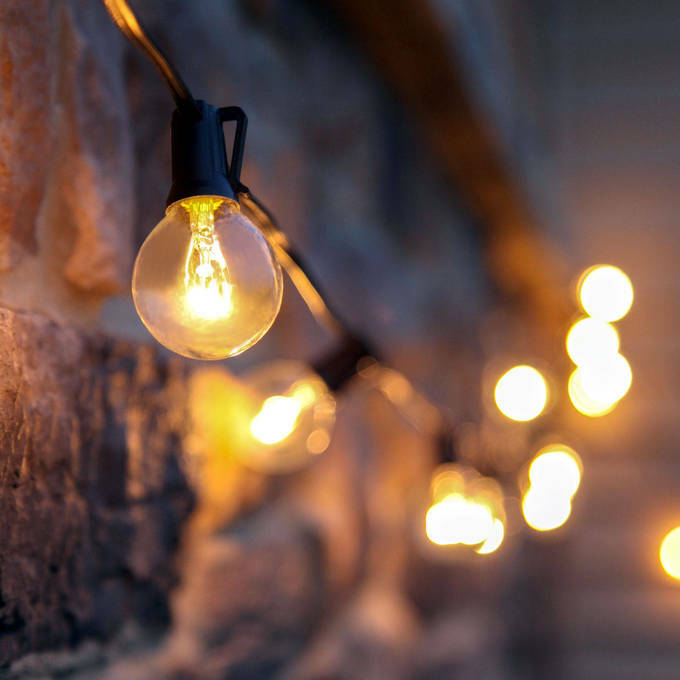 how bright is the wattage per pillar candle? 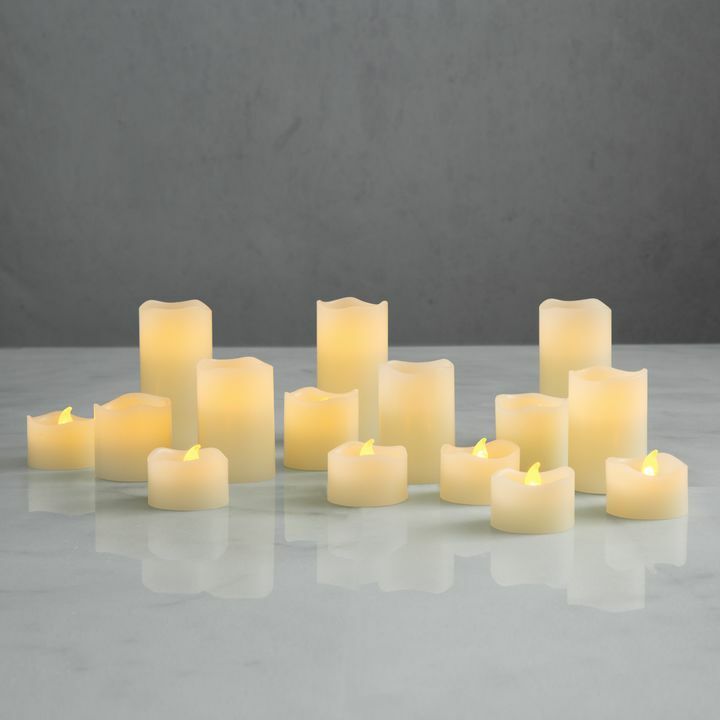 Will one remote work with all candles if I ordered multiple sets? One remote can function multiple sets of the same product. We typically do not ship internationally. But we do make an exception if you have a third-party forwarder located in the U.S. we can ship to. That's a CR2032 button cell battery. how far from the candle does the remote work? The candles are able to sense the remote at most 4 feet away.